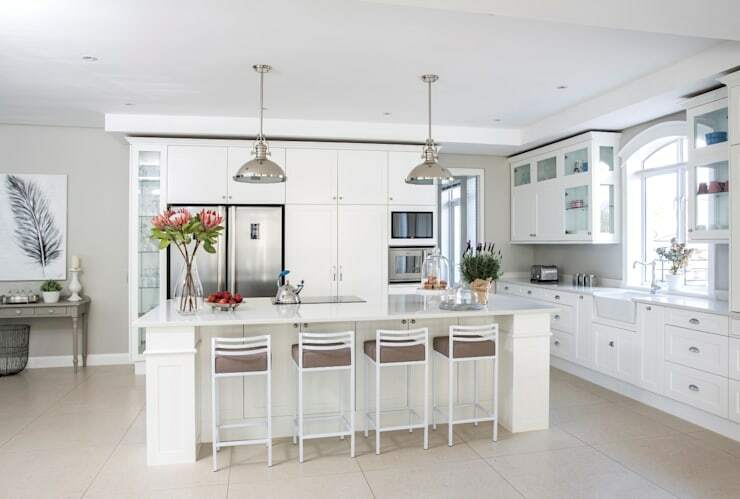 The kitchen is one of the most used rooms in the house. 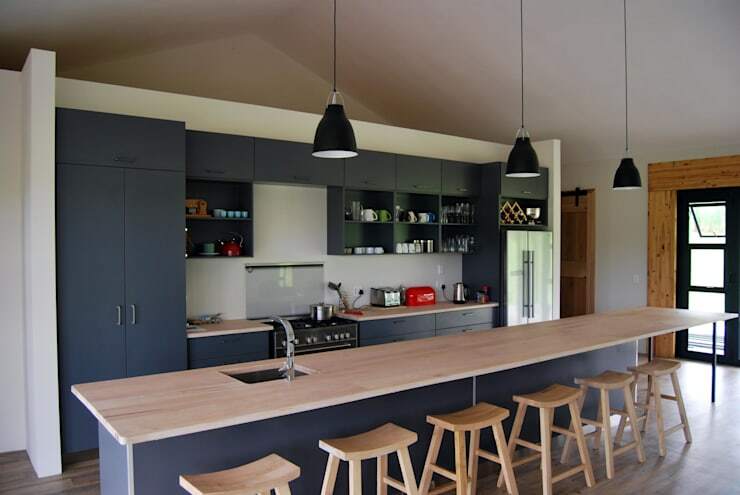 It houses the cooking area, worktop for meal prep and very often an informal dining space for quick meals. 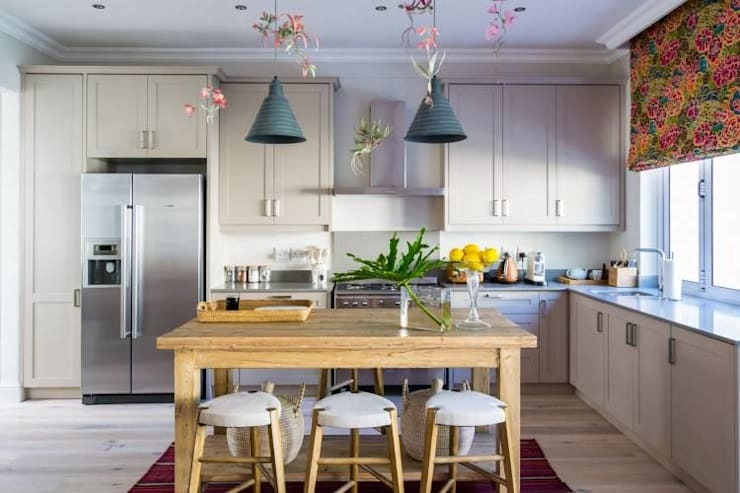 These 11 practical kitchen ideas are easy to copy in your own home, so whether you have the luxury of a spacious layout or even an open plan living space, we've included tips and tricks to decorate your interior, with the help of our professional team of course! Let's take a look and be inspired. The off-white cabinet doors, grey wooden flooring and navy mosaic splashback is a stunning combination for a trendy kitchen design. 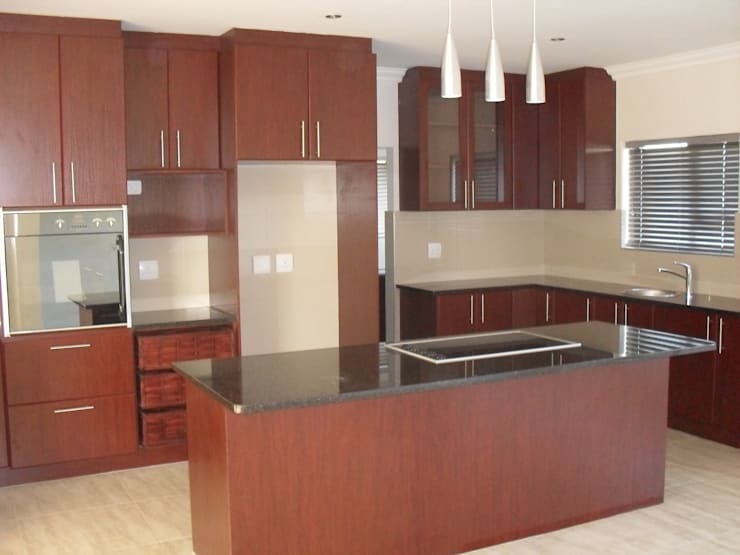 This ready to move-in kitchen has red wooden cabinets, built-in appliances and lovely lighting for a modern look. Keep your decor contemporary with a breathtakingly modern all-white colour scheme. The wooden counter of this kitchen doubles up as a dining area and working space, while the grey blue cabinets are eclectic. 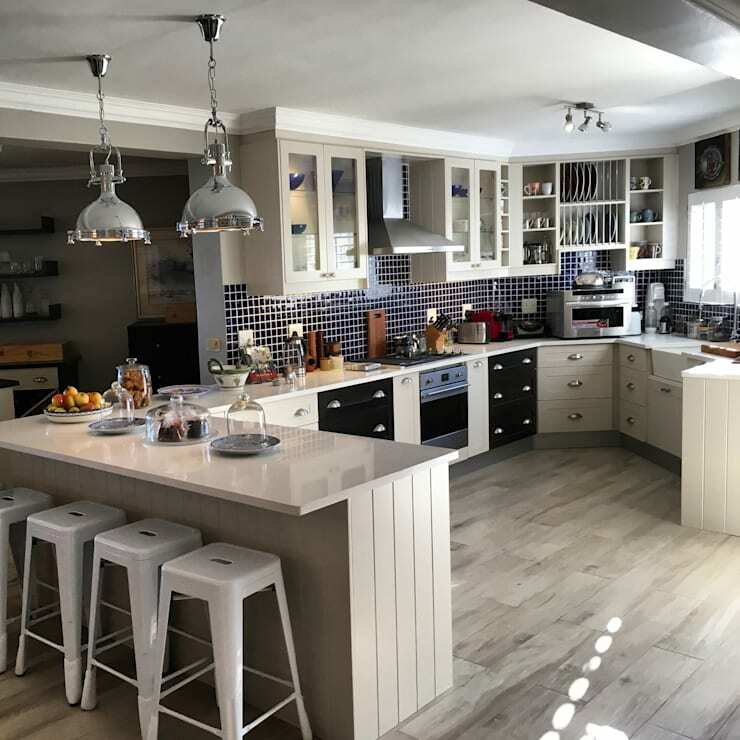 A small kitchen will be gorgeous when decorated with neutral colours and vibrant accents, go for some fascinating illumination too. Wooden shelving is easy to install, and can instantly upgrade storage especially in a petite kitchen. 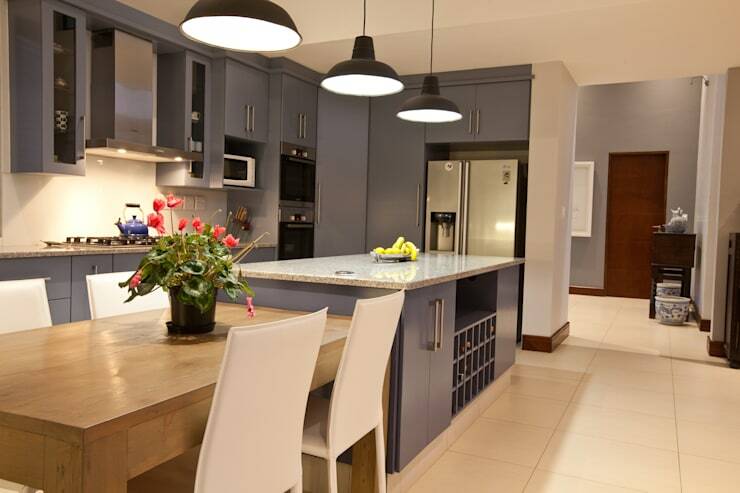 The lighting of a kitchen is essential too, it is therefore important to look at the best way to decorate the space with brilliant illumination in mind. 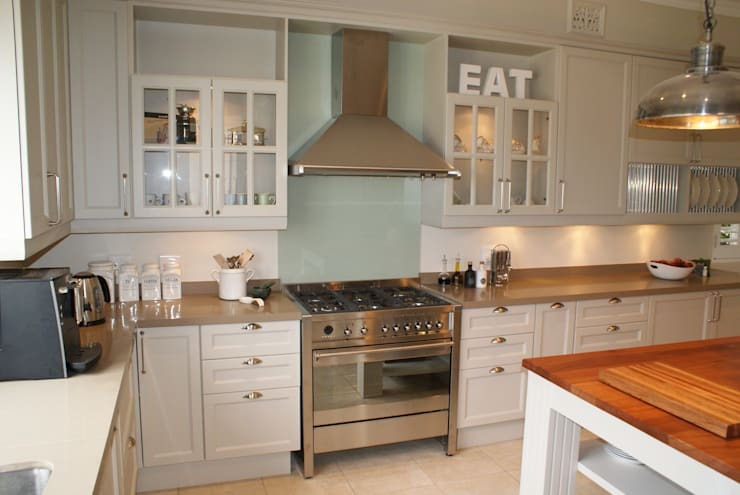 Stainless steel appliances with a country style kitchen design is perfect for a foodie family. 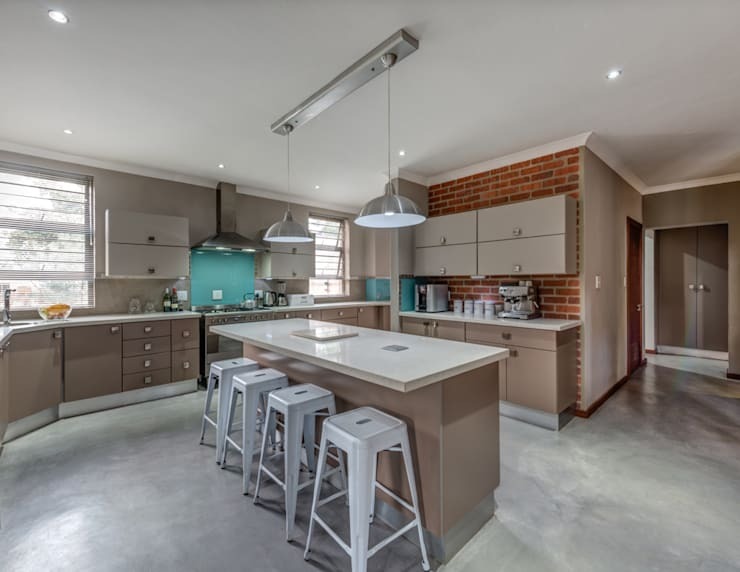 Whether you enjoy the gourmet aspects of cooking, or perhaps the contemporary functionality of industrial style, then this neutral kitchen with turquoise accents will suit your home. 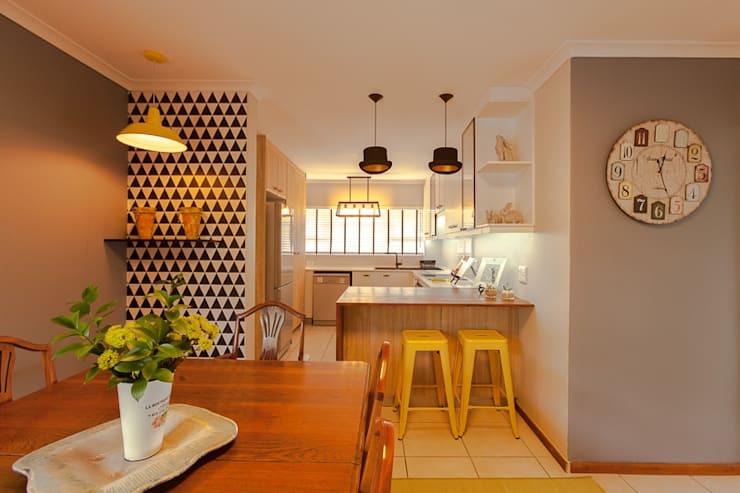 How about some retro fixtures in your kitchen? This wooden counter is an authentic feature for vintage decor. 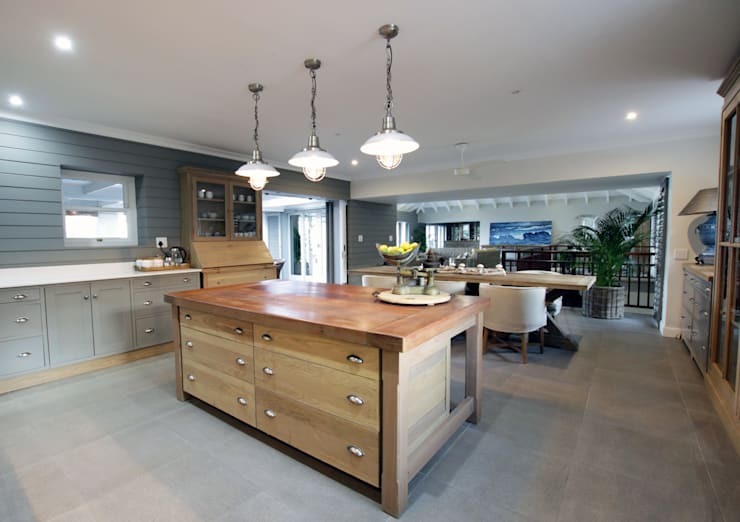 Which kitchen idea will you include in your home?